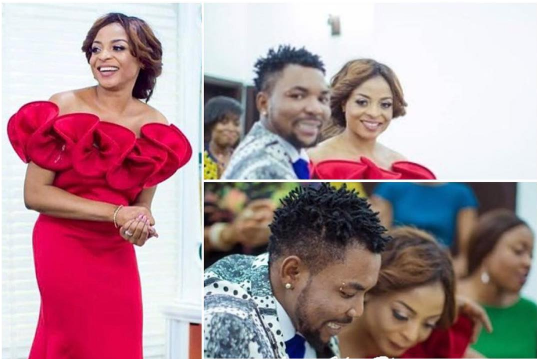 April 20th 2017, Ajegunle star singer, Oritsefemi married his girlfriend, Nabila Fash in a private ceremony at his Lekki home. A week later, there's news the couple is already expecting their first child together. According to The NewTelegraph, an insider who wants to remain anonymous revealed that the hit maker and father of three from different women is super excited with his new found love and status; adding that one of the reasons he took his fans by surprise was because Nabila was already weeks gone. “Please don’t quote me, don’t even mention my name, Femi is very happy right now, Fash is super happy too; I am equally happy for the both of them.They deserve it right now, and the best we can do is pray for them.Let’s just wish them well” the source said. Investigations also revealed that the couple before making their union official has been living together, and that Oritse’s move to a new apartment was the couple’s collective idea.